Most importantly, 2013 is a very good vintage. I suppose I should say 'from our producers' since that is all we tasted. 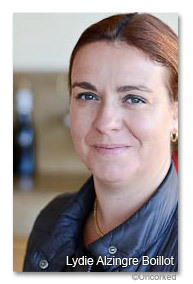 I've already seen one throwaway comment from the doyenne of UK wine writing implying that only the top fifty or so Burgundy growers are remotely competent... But from the best of Cote de Nuits addresses to Givry's finest we found reds and whites that were perfectly ripe, showing fruit intensity, mineral freshness, low alcohol and beautifully balanced. Note that perfectly ripe. Because this is a classic Burgundy vintage and we know that in US English, and for a lot of other people who should know better, that classic means bad. I suppose if you've never looked at a map you might think that Burgundy is near California or South Australia, but in fact it's in northern Europe, in an area mostly characterised by cool summers without much sunlight and by fine Autumns. 2013 is a vintage grown under those conditions. Spring for all in Burgundy was late and for many characterised by poor weather for good flowering. It also made it virtually impossible to get into the vineyards for the first spray, which meant growers were tramping up and down the vines with tanks on their backs. It also meant a lot of small grapes formed and often well spaced on the bunch. This was important for the damp conditions much later in the season as that space helped provide ventilation and hinder the onset of rot. July, August and early September were cool and damp but the last three weeks and the beginning of October were bright and sunny, with useful periods of north wind. For most growers the season from flowering to harvest lasted between 105 and 115 days. The norm is usually considered to be 100 days. The extra time and the small size of much of the fruit allowed for perfect phenolic ripeness but without a lot of sugar forming. A lot of fruit came into reception with a natural alcohol of around 12%, leading growers to chaptalise by between .5 - 1% of alcohol. As well as being good for phenolic ripeness with lowish sugars, the long ripening season made for exceptionally complex flavours even in the grapes, never mind the wines. Several growers commented on how delicious the fruit was at harvest. Many of you will know that a cool climate promotes good, fresh acidity in wine and I guess you might be wondering how acidic the wines are. In 2013 there was good acidity, but a large proportion of it tended to be malic, which is naturally softened into lactic by the malolactic fermentation. A lot of the tartaric was naturally reduced at the last minute as the fruit ended its ripening phase. The more I think about it the more two things seem the most impressive. The first is that ripeness, which is entirely without any jamminess. That, combined with the small grapes - many of which only had one pip this year - has meant that the wines have a density, weight and texture that renders them entirely satisfying, but with a lip-smacking freshness that renders them irresistable. The second thing is terroir. Across the board at every tasting the differences between villages and crus were utterly transparent and provoked a grin from me on more than one occasion as we moved from one sample to the next totally different expression of that grape and the next commune. I've been writing about reds and whites in all the above. I don't believe you can split them at the moment, though I do think that in the long run it will be considered more of a Pinot Noir vintage than a Chardonnay one. It was a joyful week in Burgundy and you can't always say that with feeling. Finally, thank you to Jim, mon chef and travelling companion; and from us to all our growers, agents, hosts, colleagues and friends for their simple and fulsome generosity. It's a glorious morning in the Cote de Beaune and we're off to St-Aubin to see Damien Colin. As with a lot of reflective producers he is constantly adjusting and refining the way he works. He's using a lot of foudres (500Lts) rather than the smaller barrique. You keep more of the gas and less oxygen, so it's easier to keep the wine under reduction. There's hardly any batonnage here now too. There is less time in barrel and an extra 6 months in stainless steel before bottling. The wines have a tension and lean elegance that only helps to bring out the terroir definitions. A very good start and leading on to other great things. A quick jaunt to Pommard to Jean-Marc Boillot to taste whites, somewhat ironically. But what whites they are. Last year this was pretty much the white wine tasting of the visit. If you're reading this then the Boillot 2012s warrant serious exploration. This year Lydie also presnted a flight of outstanding wines. The Pulignys in particular were superb and the complex and up front wines should drink young. From Pommard to Volnay. 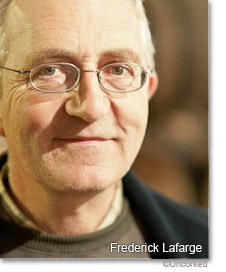 Domaine Lafarge has been hit badly over the last few years by hail and poor flowering. Burgundy is suffering from a 'new normal' but their's is particularly onerous. Nevertheless, Frederic seems not just philosophical, but upbeat. The news from this address is that Frederic and his wife have bought just over two hectares of top granite terroir in Fleurie, one of the best villages in Beaujolais. 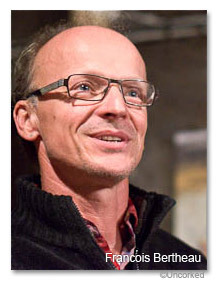 Frederic said that biodynamics really helped them in 2013. The strong and healthy vines were able to survive the hail attack. This was the first time that I haven't seen Michel, but evidently he is in very good health. In 2013 they have made one third of the normal amount. However the wines are very good. There is only one Meursault cuvee, and it is a classic Lafarge style with tension and lean fruit. The Aligote is also excellent, with that classic rhubarb fool nose. As ever this week, we see that the reds are fully ripe, with mineral freshness and increasing weight and concentration as we move through the 1er crus. Terroirs are clearly defined and beautifully exploited. At Barthod we found another set of perfectly ripe reds with low alcohol and rich fruit. There's no sign of extraction. It's a classic Barthod vintage actually, with Ghislaine's style of freshness and delicate sensibility matching that vintage depth and complexity. There's so much more I could say, but there is so little of the wines and I'm not fond of the 'here's what you could have won' scenario. In Gevrey-Chambertin there used to be a wonderfully rustic, simple and unpretentious little restaurant called Le Bon Baton. It has been redeveloped as La Rotisserie du Chambertin and now looks as though it has been flown in from Los Angeles. Where the Bon Baton was non-judgemental of its not always suited and booted guests, beware if you are a young person hosting older chaps in cords as you may not be taken seriously. The food we had was very good indeed though and some of the staff were relaxed and genial. We didn't have time, for, or even see the dessert chariot, but the team from another UK merchant - driving around in a matching pair of white Audi Q5s - applauded its appearance. Did we mention the wine list? No, we didn't, though they have 06 Cotat, which was nice. So it's a qualified recommend from us. After lunch it was Vosne for two visits. The first is the legendary Meo-Camuzet and they didn't disappoint. A couple of the wines are undergoing malolactic still, so we didn't taste those. Production in 2013 is half of the generous 2009 and much less in the case of the thunderstruck Chardonnay of Clos St-Philibert. The reds are perfectly ripe with dark fruit and supple tannins. The estate uses some whole bunches in some of the wines and in one or two they are used to help deacidify. Some of the fruit was damaged and needed sorting and to get the fruit in quickly before the rain a lot of pickers were used including 20 people on the sorting tables. A very quick drive round the corner to Domaine Jean Grivot where first Mathilde and then Etienne took us through the wines. As you would expect it was a fabulous flight. Etienne explained that he is passing on his vision to Mathilde and finds her already an intuitive grower. He is trying to make incredible wines every vintage, though has only experienced two vintages that he would consider his best ever: 2012 and 2002. He has a great team in the vineyard and they ensure that a vintage like 2013 needn't be difficult. 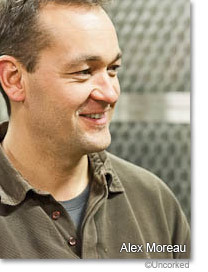 In the cellar he and Mathilde are gentle with their winemaking and prefer not so much extraction as impulsion. The wines speak for themselves. At every level the wines are really super. The words that appear most often in my notes are ripe, rich, silky, energy, melting. Back down the road to Gevrey-Chambertin to Denis Bachelet who have planning permission for a new cellar extension for next year. They really have very little room for even the most basic operation, though it hardly seems to affect the quality of the wines! This was the last tasting of the trip and we certainly finished on a high. All these wines are made from vines of extreme age and the concentration and finesse of these samples was extraordinary. They do need time in the cellar. They are all at least available, as the yields were better than for a year or two. The last supper was at La Tavola Calda, an only slightly inconguous Italian restaurant in the heart of Beaune. Charcuterie was excellent and pizzas a mix of innovative and traditional. Bases were not too thick and not badly cooked at all. Wine was provided by our host and I didn't see the list. Service was excellent. The rain has stopped sometime overnight and it's colder this morning. It's easy to feel the rise in pressure. It's bonfire night and looking back on today, we have seen plenty of vinous fireworks on our trip to the Cote de Beaune as well. The week has seen some very interesting surprises so far and we are becoming accustomed to the idea that 2013 has produced a lot of very good wines, especially from our growers. For white wines, one of the key decisions has obviously been one of when to pick. It was a late harvest and the Chardonnay has to be picked when it needs to be picked. This means summoning all the fit hands at one's disposal. French government bureacracy and economic philosophy hasn't made this easy. Apparently believing that there is a finite number of jobs in the economy, farmers are supposed to offer jobs to the unemployed, perfectly laudable, but a ten minute form must be filled out in advance and another after the event for the approximate 30% who never turn up and only apply to justify the job seeking monitors. First appointment was at Domaine Philippe Colin. We can add his Bourgogne blanc to a growing list of very nice value wines. His harvest began on the 28th September. Like a lot of producers he is looking to dial back the use of new oak, but this often depends on the amount of wine you produce. He would love to bbe able to have coopers who could insert a few new staves into the odd barrique, so that he could deploy single figure percentages of new oak in some wines. In both village wines and 1er crus, it was easy to taste the differences between the communes and plots. This week is invaluable for beginning an understanding of terroir and should convert any terroir sceptic. Anyway the wines here were excellent and we may even be able to get our hands on a few halves. Onward to Meursault and Charles at Ballot-Millot. There's another good and lean Bourgogne Chardonnay here and another masterclass in terroir definition. Standouts were Les Criots and Boucheres, but the more renowned crus were superb. Charles likes to use a very gentle low temperature toast on his barrels and this is to ensure that the wines aren't 'smoked' but are tightened up to keep a little reduction and reduce the micro-oxygenation. Catherine and Arnaud Tessier had the bottling truck in when we arrived. This gave me the rare opportunity to note that the Bourgogne Chardonnay we tasted had been bottled 5 minutes ago. The wines here were the best I've ever tasted. They were sapid, fruity and all different. The couple crackle with energy, as did their wines. Are you organic I asked? Of course, in the good years, they replied. If there is a lot of disease pressure we will treat as required. One of the great things about tasting in Meursault is the proximity to the non wine village of Corpeau. For here is situated the Auberge du Vieux Vigneron. Here they have opened up a new room and installed a new suite of more and swanky loos. Food is still excellent and service the most understated and proficient of the week. Great value here, both on plate and in bottle and highly recommended after a morning's tasting. We drove down to Givry and saw Francois Lumpp. These were fantastic wines. The reds could have been slipped into the Arlaud or Hudelot-Noellat line-ups, but at a fraction of the price. The whites could stand comparison with anything we have tasted. Francois and Isabelle Lumpp are easily the leading producers in the village. It is almost too easy to say the same thing of Marie Jacqueson. This accomplished grower continues to exploit the capabilities of her enormous new cellar and the possibilities and flexibility it offers her. The 2013 whites are in bottle and the reds will be by the end of the month. Customers should hoover up the remaining stocks of her 2012s. This evening we ate at La Part des Anges in rue d'Alsace. This restaurant is so trendy that as we were leaving around midnight some of our party (not boring old me) returned there with Charles from Hudelot-Noellat, who we met on the doorstep. Service was just excellent, unfussy and anticipatory of what we wanted and in fact, just fun. Food was excellent, precise, with flair and beautifully executed as well as great value. They have a super range of Bourgogne blancs, which might sound odd, but they really are impressive wines these days when from the best addresses. You've got to love a place that lists its suppliers at the back of the menu. If Monday was a day of two halves with whites followed by reds, as is customary in Burgundy, then today was based entirely on red. We are firmly fixed in the Cote de Nuits and especially around Morey-St-Denis, which is after all probably the finest village there. We started at Taupenot-Merme and found a happy Romain. Despite all the wine's having been blended and sulphited only two weeks ago, they really showed nicely. 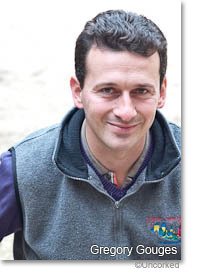 Romain runs his estate in a meticulous way with an eye for detail. We tasted 16 wines here, including a new micro-negociant business, which buys barrels from the Hospice de Nuits. 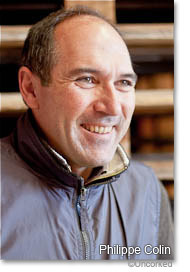 Thierry Brouhin at Clos des Lambrays is on top form, both his dry sense of humour and his superb Morey-St-Denis expressions. They all show a supple and generous texture, combined with a balanced structure and harmonious fruit. At Domaine Arlaud we also tasted a micro-negociant range of contract based, Arlaud farmed and harvested. The Arlaud tasting was another that revealed the secrets of terroir, with brilliant definition of individual villages, 1er crus and plots. Cyprien Arlaud was able to explain clearly how complex the grapes were after such a long, slow ripening period. Lunch was at Castel Tres Girard in Morey-St-Denis which is a very pleasantly situated hotel with a restaurant in a very nice room with, in our brief lunch, good evidence of precise and flavour filled cooking. Service is very good. First stop after lunch was the bubbly Francois Bertheau. As usual his wines are almost fey, very pale, very delicate and fresh. But this year, the wines have more density and matter, a little more intensity. But if you think of the four elements of earth, air, fire and water, these are certainly wines of the air. At Domaine Dujac, the Fils et Pere wines have been reduced in quantity, especially the Gevrey, where one grower is demanding huge price increases. In fact, for Dujac 2013 is a notably smaller vintage than 2012. The wines are excellent. They are another set that demonstrate the breadth of terroirs on this part of Burgundy. Jean-Marie Fourrier was as generous as usual with his tasting and his knowledge, reflections and views. Commenting on the early views of the 2013 vintage and reactions to them, he reminded us that he didn't taste the wine himself until February. There's no point as it doesn't tell you anything, but that when he did taste he was very pleasantly surprised indeed. It was a tough tasting. The 'entry-level' Clos Solon is exemplary and we wondered where the rest would go. The succeeding wines lived up to rapidly increasing expectations and we hope that distribution will soon be calmer. A spot of supper was had at 21 Boulevard and it proved to be the meal of the trip. A very good set of courses, only slightly marred by a lack of staff, especially the wine service. But the list is very good and prices reasonable. We stay at the Hotel Belle Epoque in Beaune, which is both central and very well managed. After breakfast we were off to Domaine Pernot-Belicard in Puligny for a good start to a morning of white wines. Philippe Pernot showed a very nice and precise range of wines from Meursault and Puligny-Montrachet. We got some interesting asides, for instance land prices in this area of Burgundy have trebled in the last two years. Off to Domaine Bernard Moreau, where Alex gave us our first comprehensive vintage review. In 2013 the early part of the season was very hard with difficult budburst and a lot of rain, which meant it was very difficult to get machines in and out of the vineyard, so the first sprayings had to be done largely by hand. After that it got calmer, but summer was up and down, never hot and not much light. Because of the sad spring, they always knew it was going to be a late harvest and it was started on 27th September. This is a grower's vintage, not a terroir one, though terroir is very defined. A lot of important decisions had to be made and executed in Burgundy in 2013 and there were many opportunities to make mistakes. Alex has changed the use of chemicals here and no longer does any systemic treating. Rather he'll use contact sprays as required and nothing against rot. Instead, Alex reduces the amount of leaves to increase ventilation. This does mean there is a little botrytis and this needed sorting out at the cellar door. It was a small harvest for a number of reasons, including a hangover from the deep frost in 2012. This is a fabulous set of wines, made only using natural yeast and 100% oak, albeit very old oak for the junior cuvees. There is a richness here. 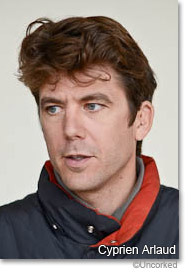 For a slightly leaner look, at least at this stage of things, then look no further than Thierry at Domaine Paul Pillot. He showed a classic range of sapid Chassagnes. For him 2013 is a vintage of the Domaine, not the vintage. The 25th of September saw the start of their harvest. Thierry wants people to age his wines and works to that end. The epitome of his approach was in the Grand Montagne, from such a pure limestone terroir that it sees no new oak at all. So after the first forty wines of the day it was off to L'Estaminet in Puligny's main square. This is an old fashioned and great value worker's restaurant so Jambon Persille and Boeuf Bourguignon provided the protein for the afternoon to come in the Cote de Nuits. The first visit here was to Gouges. Gregory said that the vintage was complicated and very late. There was over 110 days between flowering and harvest and they waited for as long as possible for phenolic maturation, which came, but the never got sugar maturation, so a little chaptalisation was necessary. Some fruit was either rot affected or unripe by harvest and in an already small vintage they discarded between 15 and 25% of the grapes. The wines were fully ripe with silky tannins and very pure fruit. Greg likes to work under reduction, like a lot of people. At Hudelot-Noellat a relaxed Charles, despite our being his sixth appointment of the day, was obviously confident about the wines and rightly so. From Bourgogne Pinot through the Vosnes and 1er crus and not forgetting the Richebourg, the wines showed magnificently well. One of the features of the 2013 harvest was that much of the fruit was picked in the rain. And after a mostly wet season. However phenolic ripeness was achieved and as the tartaric acid levels dropped, picking began, and fast, with vast armies of workers. As here, there has been no sign of dilution at all; no lack of intensity. And finally, and a little cruelly with such an act to follow, we tasted again with Max at Georges Noellat. Looking like the proverbial twelve year old, Max has made a huge difference to this domaine and the wines are dense and full of matter. Now, it was a dark and stormy night, with bins and planters blown over and shutters banging in the tempest. And the captain said to the bosun, 'Bosun, where shall we eat tonight?' And the bosun looked a bit sad and said in a melancholy way, 'well, not at the Cedre, if you'll take my advice'. Lovely butter though. And so to bed. The gathering of the Uncorked clan in preparation for a week in Burgundy took place today. This was a last minute affair and accomplished in a skin of teeth manner most unlike the usual meticulous planning that characterises these affairs. But with one member coming from London and another from Rome via Paris Orly, it was a miracle we met up at all. Internet research revealed a short transfer from Orly to Gare de Lyon, easily accomplished. If only I'd found the information on wikipedia, then I would never have believed it in the first place. In fact it is a long journey, including a change at what must be one of the tensest and ugliest metro stations: Chatelet-Les-Halles. But we got to Dijon, and thence to Beaune by train and even managed to get to Le Benaton for a chance late table. This is a traditional venue in every sense. First because it is open on Sunday and thus a natural choice and secondly because little changes here. Bruno Monnoir spent time cooking in Japan and several of the kitchen brigade are Japanese. So though the menu may not change much, details evolve according to season and reflection. It has a good, though young list and service is formal and very good.